>> What is a CPST (Child Passenger Safety Technician)? What is a CPST (Child Passenger Safety Technician)? The world has technological advancements to thank for the ease in transportation witnessed in the 21 century as compared to previous times. However, this big step for man has come with its downsides: car accidents. Motor vehicle accidents have been recorded to be one of the leading causes of injuries and death among kids between the ages of 0-14. This factor is often dependent on the driver's regard for seatbelt use. According to research, nearly half the children who have not been restrained using seatbelts ride in cars where the drivers are not restrained themselves. The lack of restraint is not the only factor that results in these accidents. Improper restraint methods have also been known to result in a fair share of child injuries and deaths. It is estimated that almost 90% of children riding in cars are incorrectly restrained. Such kids are at a higher risk of getting hurt or losing their lives than those riding with proper restraining methods. 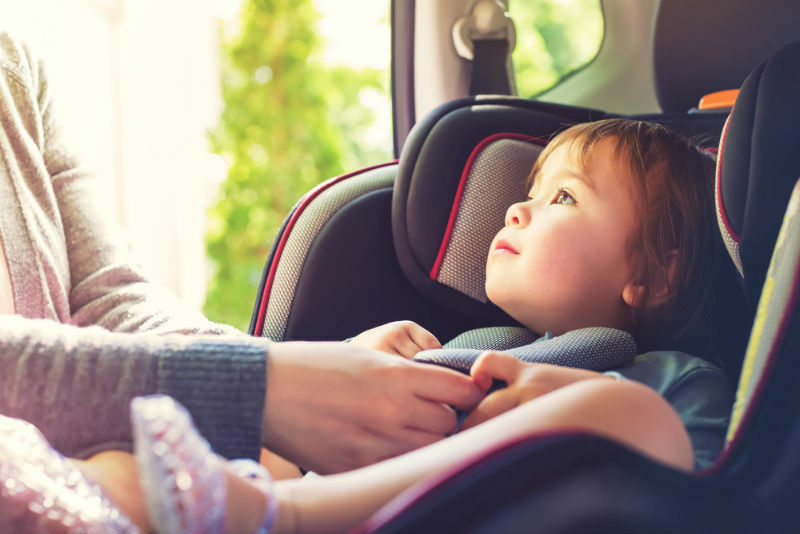 With such sad incidences on the rise in recent years, it only makes sense to put certified people in place to ensure the utmost safety of children riding in vehicles. Such professionals are referred to as Child Passenger Safety Technicians. However, many are not familiar with the existence of this line of work, which begs the question, what is a CPST (Child Passenger Safety Technician)? A CPS technician is a person tasked with the responsibility of giving one-on-one guidelines to parents and caregivers on the correct use of child car seats to reduce the risk of harm posed to children in cars. On top of that, their car seat certification allows them to also provide hands-on help to ensure every drive is safe for kids. To receive certification as a CPS technician, one has to take the Child Passenger Safety Certification Course that is offered by the National Child Passenger Certification Training Program. To take the course, one will have to pay $85. The entire course takes 3-4 days, depending on how the instructor is conducting their agenda. The $85 fee may vary depending on the organization offering the course in a specific area. Before being approved to take the course, CPS will conduct history and criminal background checks on all applicants. The applicants must also have a valid driving license. This organization has been the main corporate sponsor for the operations of the National Child Passenger Safety Training Program since 2005. The sponsorship this agency provides has helped move course management systems and the issuing of certificates to the online platform. This has helped reached many more individuals with the deep care for child safety and enhanced the training of CPS technicians and instructors. Commonly referred to by its short form, NHTSA, this organization has helped make numerous improvements to the training program since its establishment. NHTSA also provides updates from time to time to the program in the technological department. This administration works to facilitate the improvement of child safety in cars. One of the founding members of this organization is the National Highway Traffic Safety Administration. It provides parents and caregivers with the information and tools necessary to achieve child safety. In addition, The National Child Passenger Safety Board also guides NHTSA and Safe Kids on how to conduct the curricula and gives recommendations on how tests should be set. Since the establishment of this CPS training program back in 1997, well 150,000 people have been trained in child safety and received numerous titles, among them being certified car seat installer. Safe Kids is the branch of the National Child Safety Certification Program that is responsible for the certification of CPS technicians and instructors. Parents account for a big percentage of individuals who take the course and later work for the program on a volunteer basis. These child passenger safety services are offered in all fifty states in the United States, its territories, and the District of Columbia. The course is also offered in various regions outside the US including Israel, the United Arab Emirates, Qatar, Italy, and Canada. Around the world, this US program for Child Passenger Safety Certification is considered the gold standard.